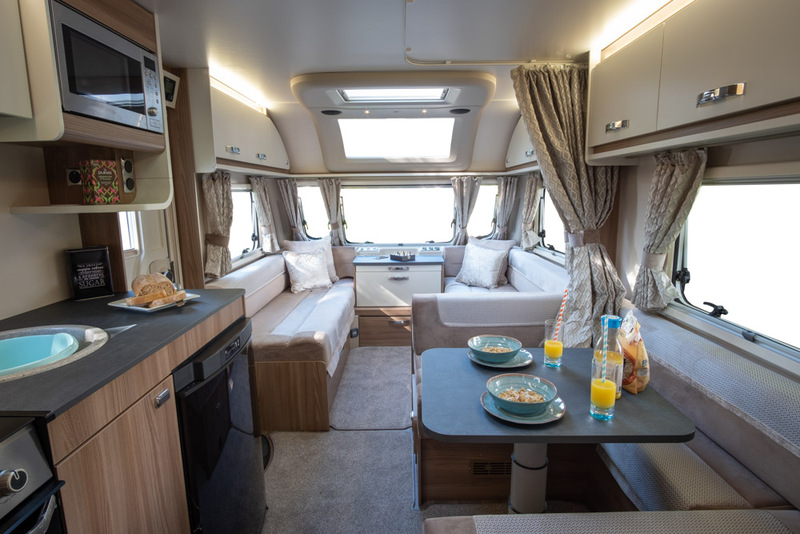 Presenting our new and improved 2019 special edition caravans with exciting upgrades and industry innovations. 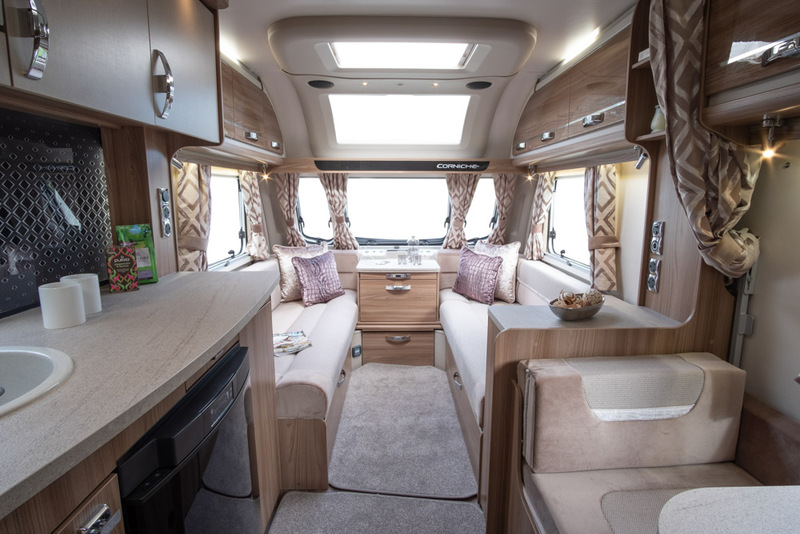 Introducing the new Swift Ace, with an 11 model line up! 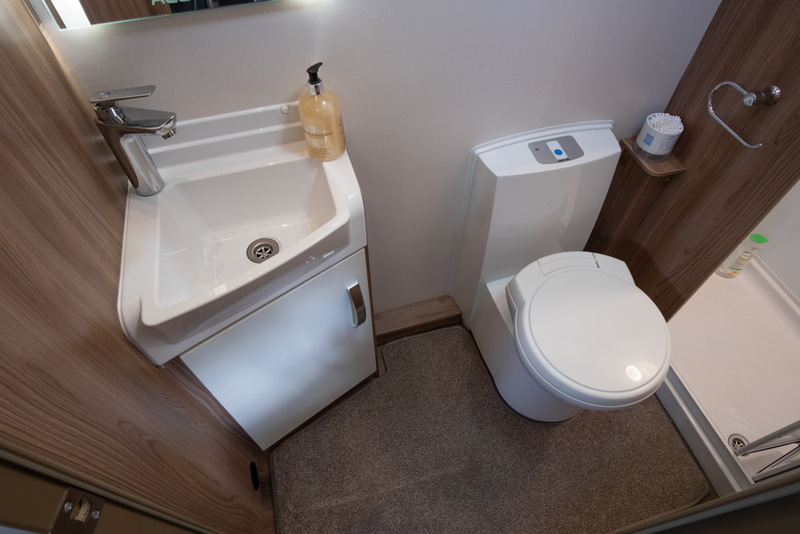 For 2019 Wandahome is proud to be the only dealer to sell Swift Ace caravans. 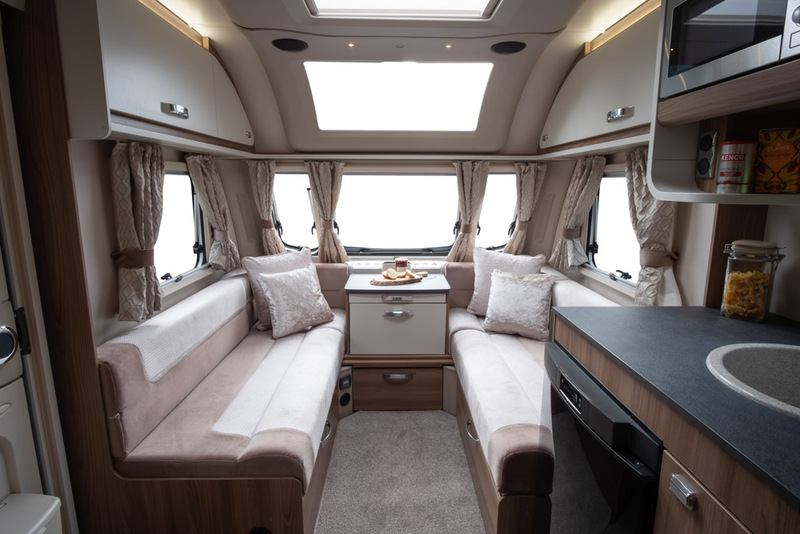 As an exclusive brand, Wandahome offers these iconic caravans in a vast range of models, from two-berth to six-berth with two new eight-foot wide Swift Ace caravans for 2019. 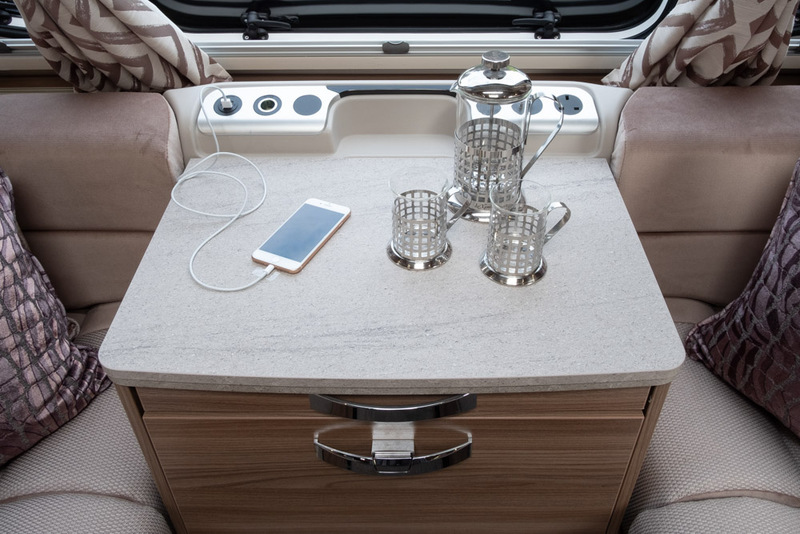 As part of the iconic brand, every new caravan in the 11-model line-up offers space and high-tech specification. 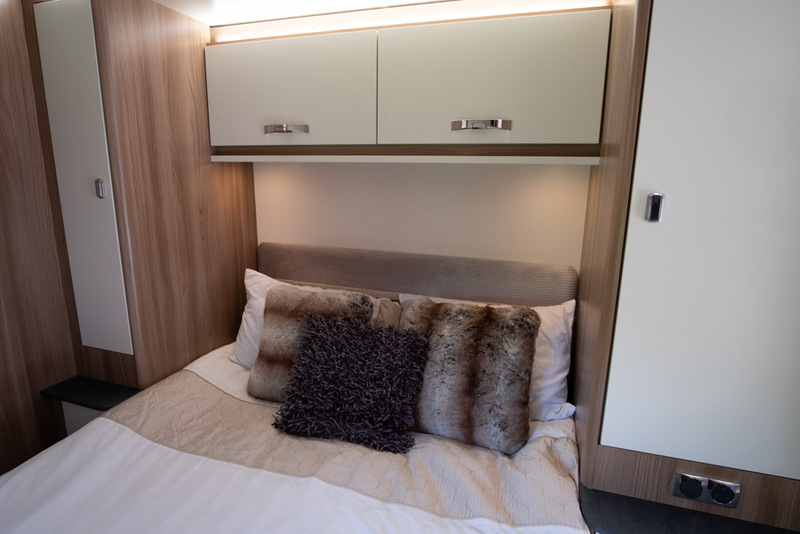 Swift Ace caravans were introduced to Wandahome as a limited-edition range in 2013, since then the popularity of these caravans has seen the Swift Ace come back year after year, with 2019 seeing the introduction of the two eight-foot Award Nightstar and Award Superstar, making the exclusive range bigger and better than ever. 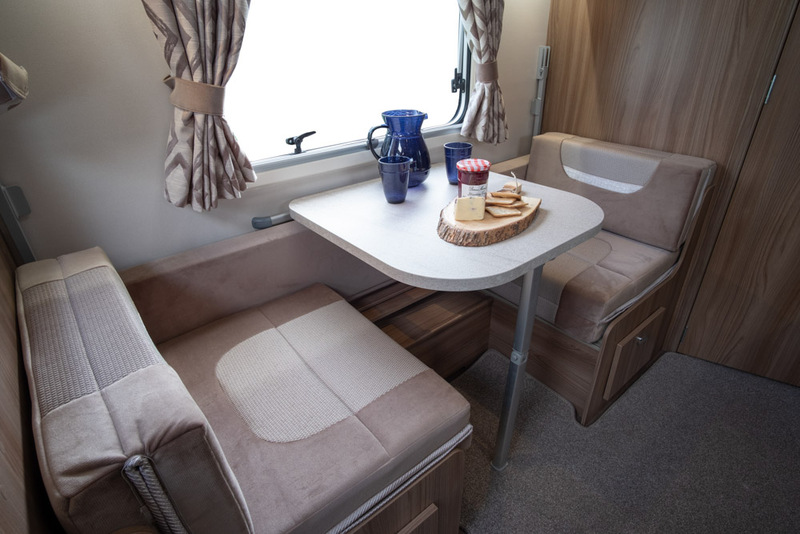 As the best-selling special edition model Swift has ever created, it is clear that these caravans are here to stay. 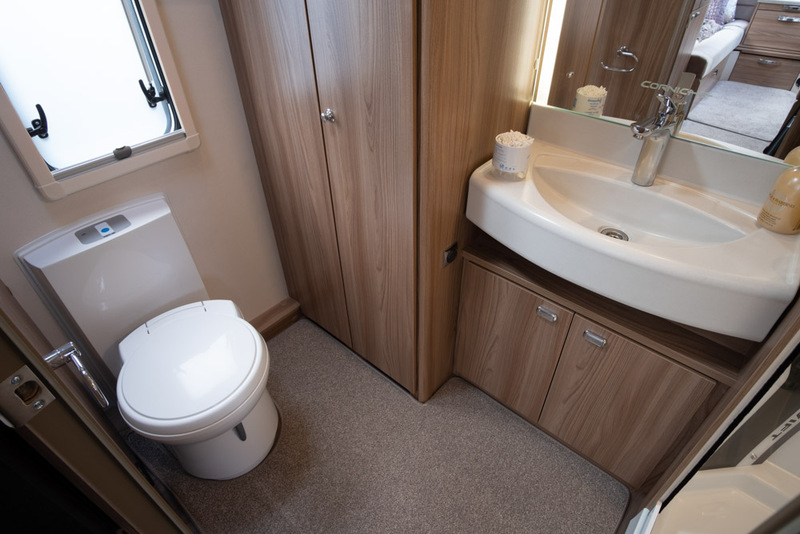 Across the Swift Ace range, the competitively priced caravans are available in a vast number of layouts including the luxurious island bed, large end washrooms and side dinettes, allowing you to choose the best Swift Ace caravan for you. 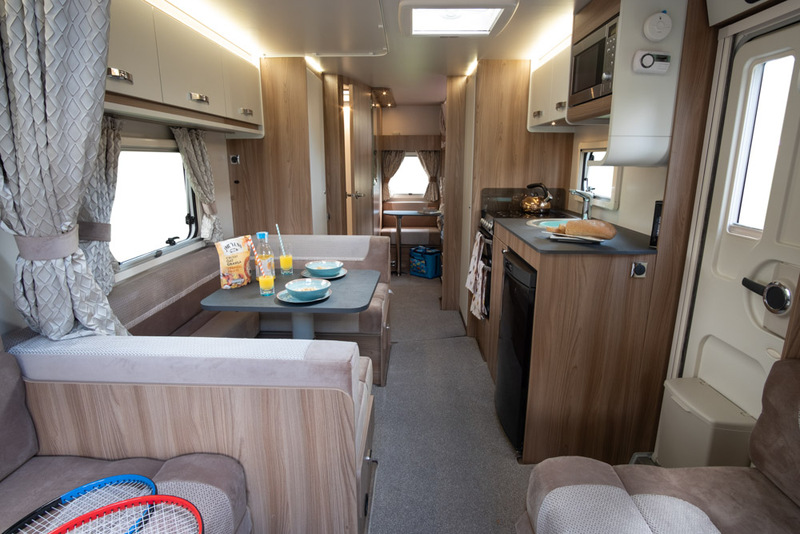 The 2019 Swift Corniche; suitable for couples and families! 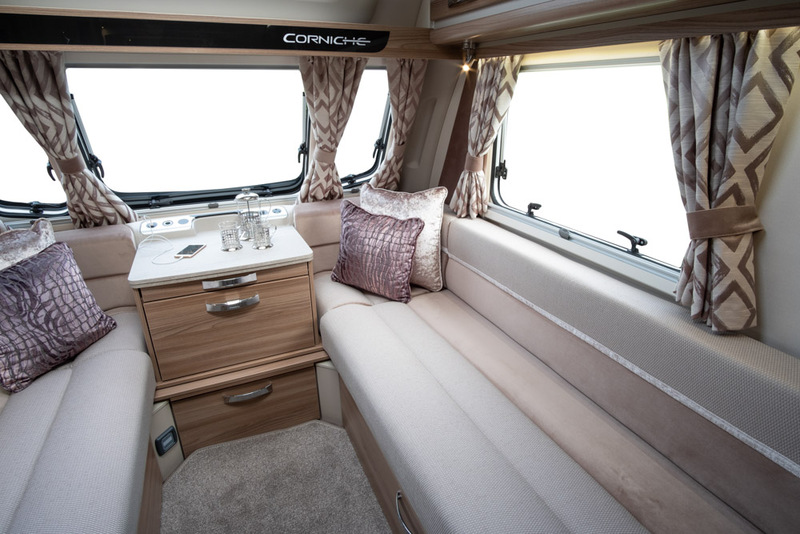 The Swift Corniche, as we all know, is a recognised brand name synonymous with prestige cars and caravans. 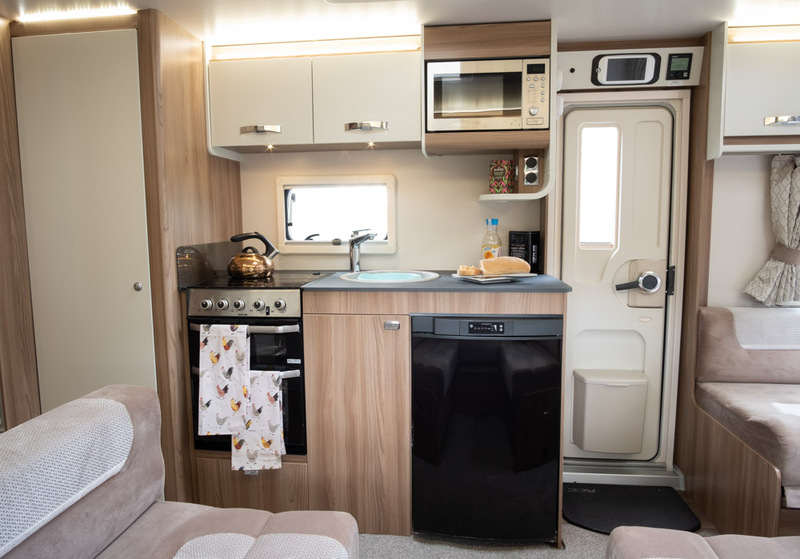 Exclusively to Wandahome the 2019, Swift Corniche caravans possess a specification befitting of a higher end vehicle to suit both couples and families who are looking for a high-quality vehicle with a complete specification. 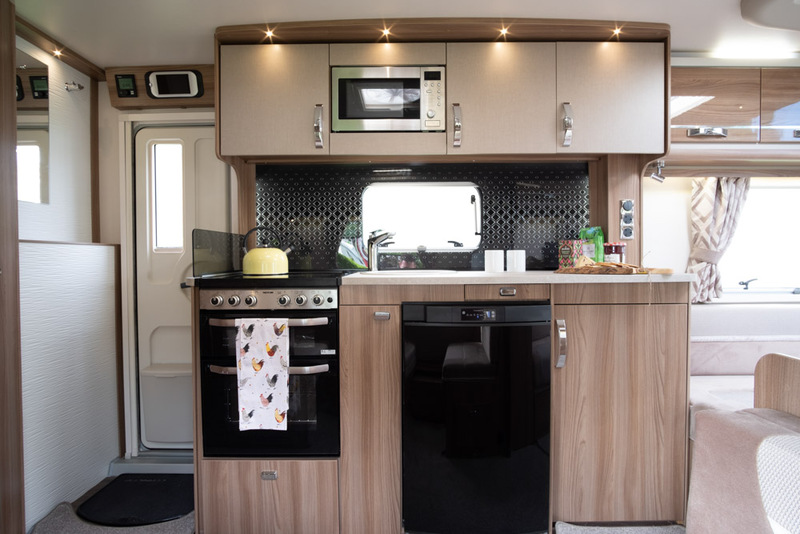 Once again, our Special Edition Swift Corniche caravan surpasses all expectations with the superior quality and specification of this high end caravan. 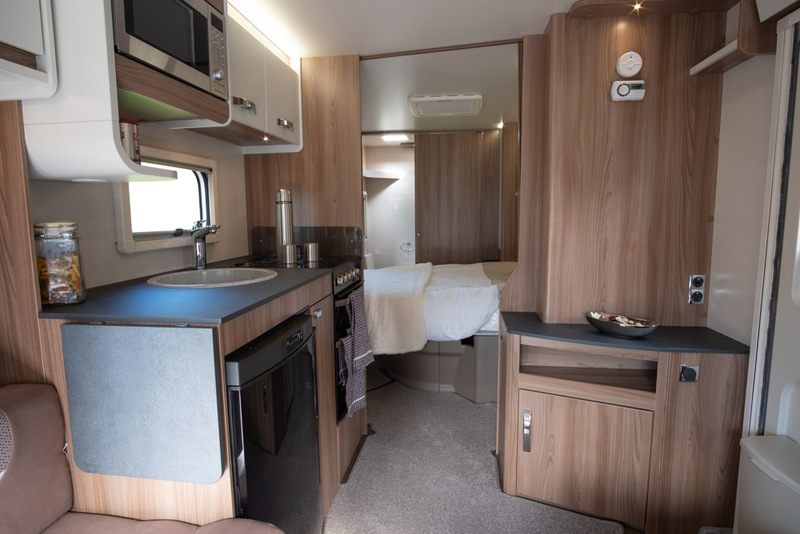 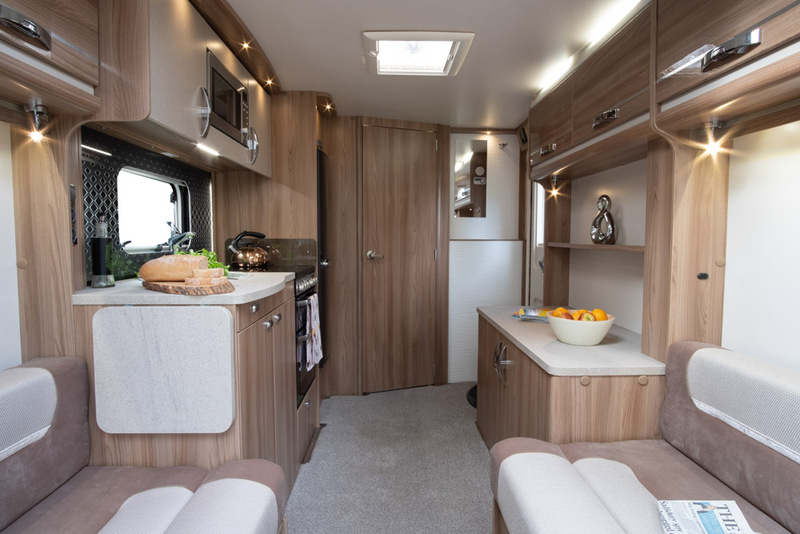 The Carbon look front locker and elegant graphics make the Swift Corniche caravan stand out in any crowd, whilst the exquisitely luxurious, yet subtle interior gives you that 'at home' feeling when out on your adventure. 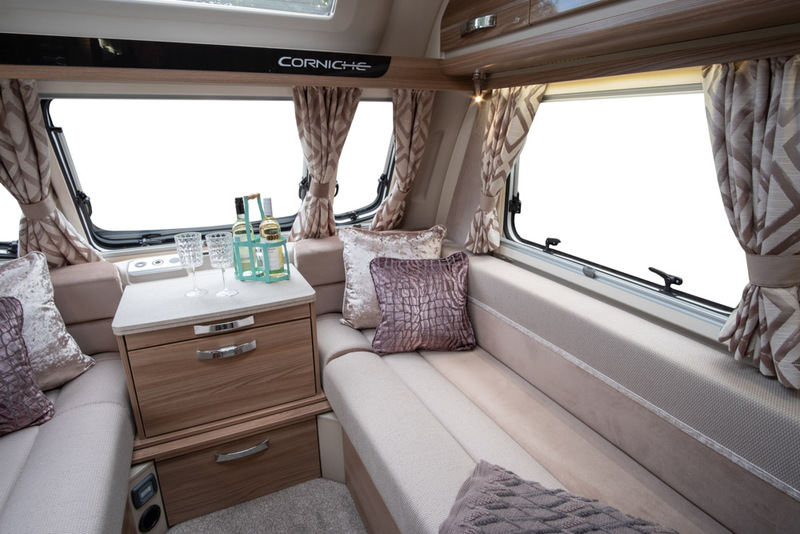 The high-end specification of the Swift Corniche caravans makes them ideal for couples and romantic getaways. 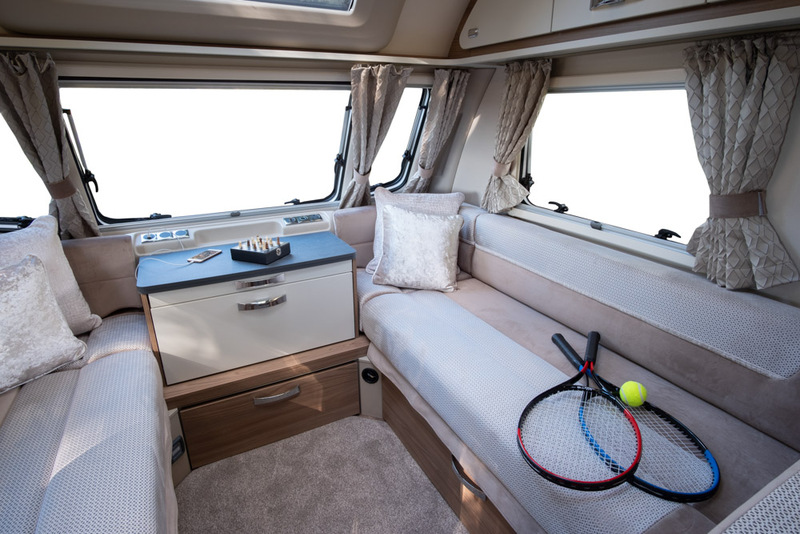 With a number of island bed models across the range, you can relax in luxury without the worry of having to make up the bed every night. 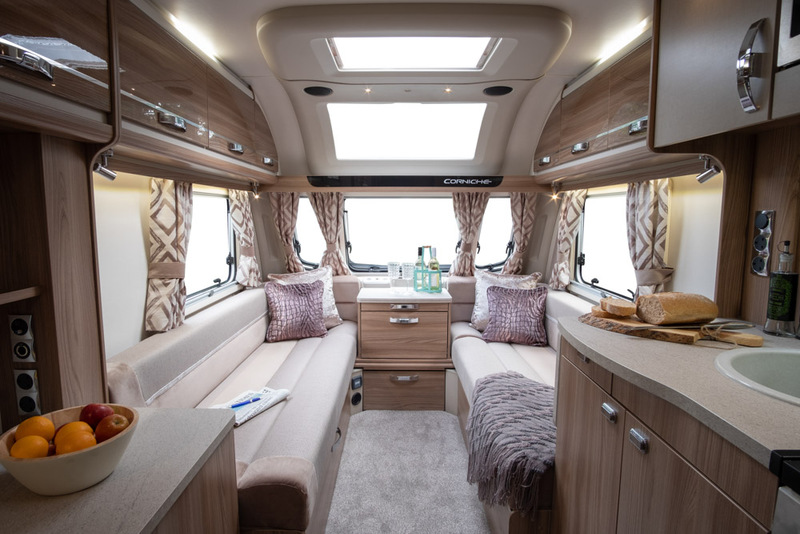 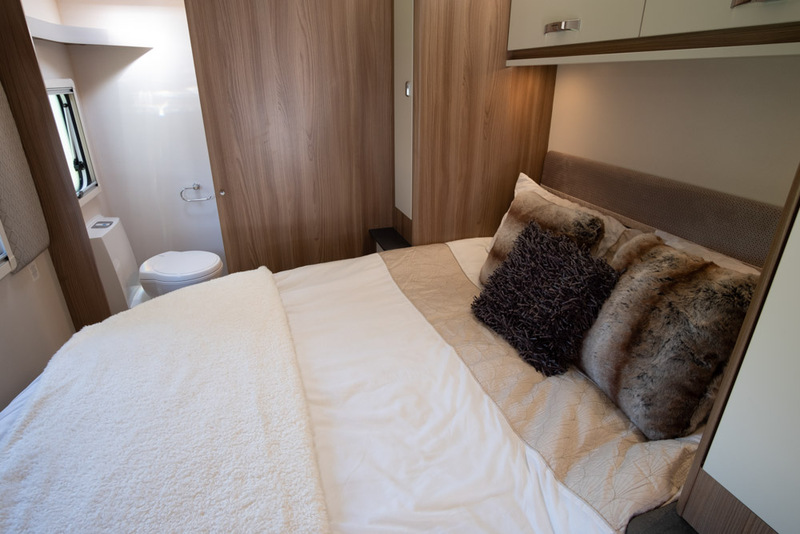 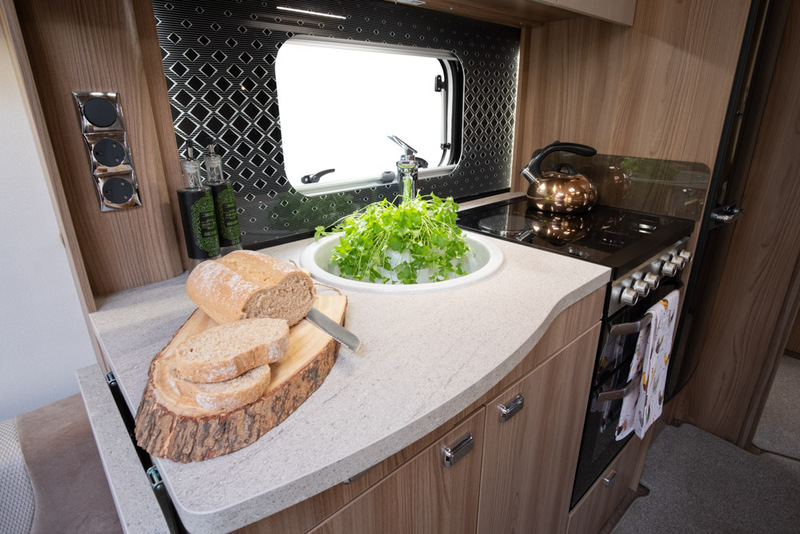 Exclusive to Wandahome, these 2019 Swift caravans offer deluxe interiors including a panoramic sunroof, backlit mirrors and refreshing soft furnishings. 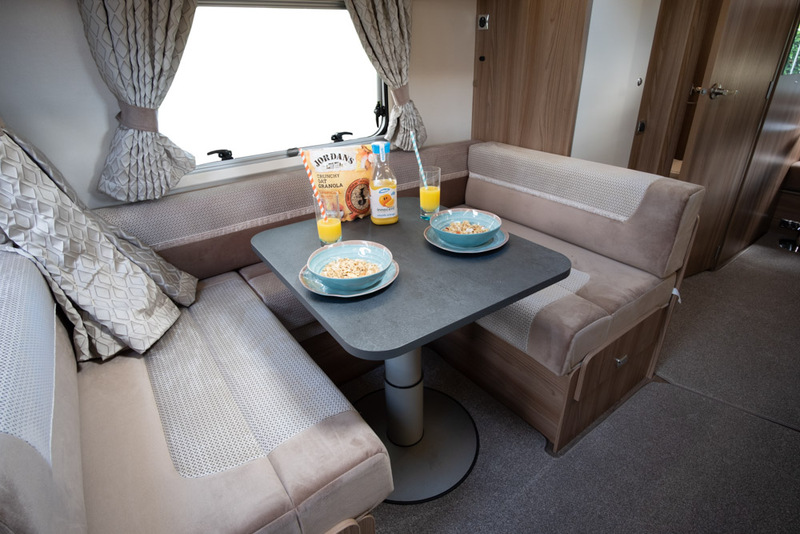 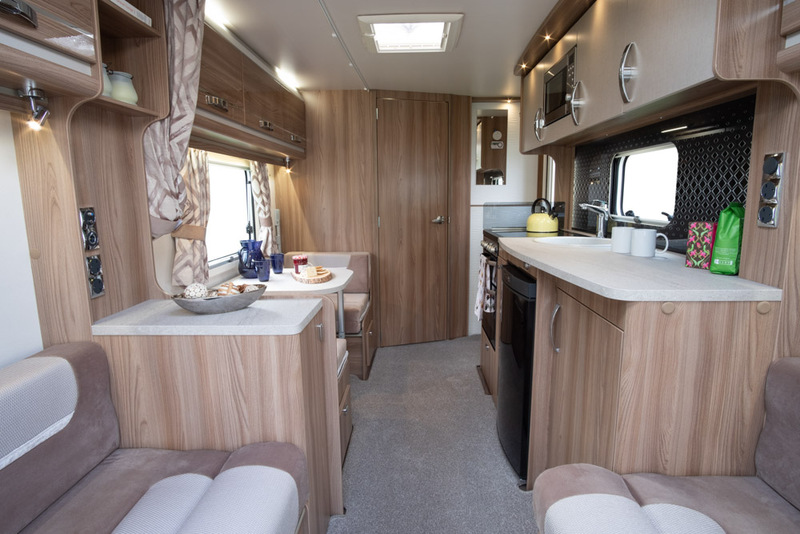 With soft loose-fit carpets under your feet, you can feel right at home in these Swift Corniche caravans.